From the moment you walk in to the moment you drive away after the repair, the staff at Autobody Images will be there to assist you. From getting an accurate, honest estimate, to working directly with your insurance company, to arranging your rental car needs, our superior customer service will go above and beyond. Let us help you report your claim correctly right from the start. We know that dealing with an insurance company after a car accident can be a huge hassle and a daunting process for our customers. That’s why, with our Direct Repair Program, we are able to deal with ALL insurance companies and handle the paperwork and phone calls so you don’t have. Many are connected directly to us online to help expedite the appraisal/estimate and payment process. You may call us for free advice and/or a FREE estimate so we can help you avoid any unnecessary stress. No Insurance? No Problem! We can work together to get your vehicle back on the road quickly and safely with a repair that fits your budget. All collision related mechanical work is performed in house. Our technicians are fully experienced in repairing: Cooling & A/C systems, Steering & Suspension, Air Bags, Dash Trouble Lights and more. Don’t get steered in the wrong direction, let us help you avoid the road bumps in collision repair. Our painters are certified and continually trained on the latest techniques and products by Spies Hecker & 3M Products. Our system will computer mix and match today’s hi-tech colors including clear coat and three-stage pearl paints. 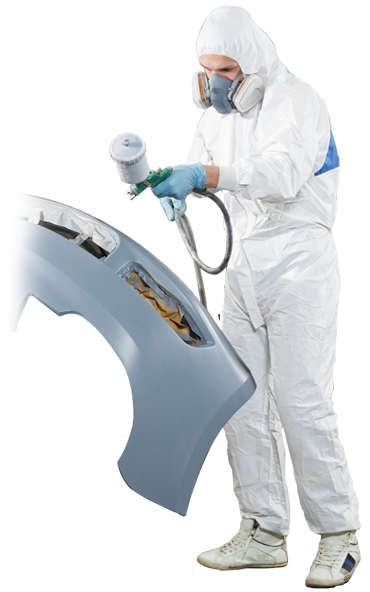 All refinishing is done in our down-draft, state-of-the-art, Spray-Bake paint booth to ensure a factory quality finish. All vehicles are returned clean inside and out. Full detailing services are available and quoted per inspection. Other available services include Paintless Dent Repair, Window Tinting, Pinstriping, Aluminum Wheel Reconditioning and Accessory Installation. We offer a lifetime warranty on all repair work (workmanship) for as long as you own your vehicle. Our superior customer service doesn’t end when you leave our shop. With our written Limited Lifetime Warranty, we will be there for you should you ever have a defect in our. Just bring your vehicle us with your repair order and we will take care of the rest. For a limited lifetime warranty and peace of mind – think Autobody Images.